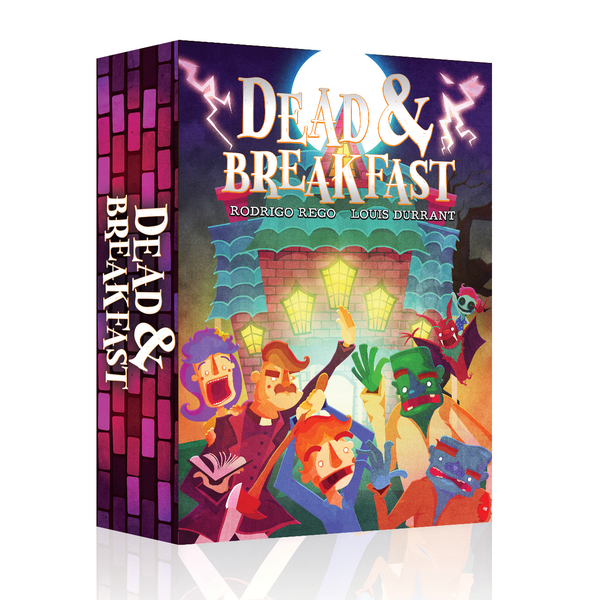 However, a ghastly ghoul besieges the local Haunted Hardware Store, and other enigmatic entrepreneurs are opening horrible hostels of their own, meaning you’ll have to work fast to ensure that your Dead & Breakfast is the best of the worst! In less verbose vocabulary, Dead & Breakfast is a tile-laying game where you assemble a hotel, placing creatures, flowers, and guests to score points. Each turn, players place one of the available un-haunted window tiles into their hotel, before passing the turn to the left. Once a row (5 windows) of a player's hotel is complete, they can invite a guest, occupying one window but activating their specific scoring condition. Once everyone has built a 5x5 hotel, points are won in three ways: inviting guests who fear the creatures that live in your hotel; connecting certain types of flowers to your door via ivy; and fulfilling the conditions of the Bonus Scoring Tile. The Hotelier with the most points wins!